With the guests beginning to arrive, a late summer wedding in the country is about to take place before the sun sets. Lara and Nate, chose the idyllic scene at a rustic Air BnB farmhouse near Traverse City, MI for their venue. Both Michigan natives, they are surrounded by loving family and friends. The countryside setting is perfect for their intimate wedding of 87 guests. At once beautiful and brimming with joy, the atmosphere is just right for this momentous occasion. Every little detail has been painstakingly crafted to bring the most important elements of the couple’s lives to the forefront. From the flowers that were hand-picked that morning from the farm, to the centerpieces pulled together from bits of family memorabilia, the décor is inviting, nuanced and full of charm. The ceremony, officiated by Rev. Kellerman, takes place at 5 p.m. on the grounds, amidst a wide expanse of open field. With enough sunlight showering down still, the handsome couple stand ready to exchange vows before a verdant vine-wrapped arbor. Today as they celebrate their union as husband and wife, Lara and Nate are blessed with a balmy, bright late summer afternoon. It's a tender affair, filled with spirit and love and every aspect of the event reflects that. Wedding photographer Joshua Kane did an especially good job of capturing the spirit of the exuberant couple and their surroundings. 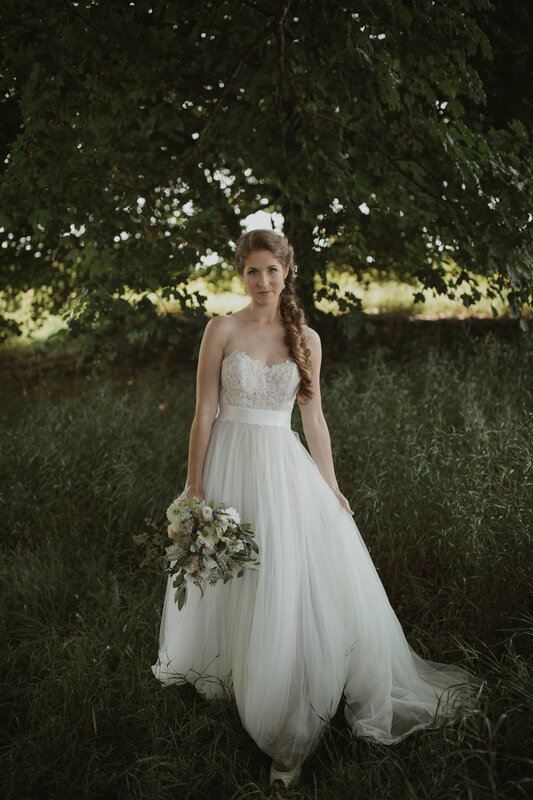 Lara radiates from the inside out, with her natural beauty complimented by soft makeup hues done by local makeup artist Brittany of Elegant Bridal. Her hair, has been coiffed by Zee's Hair artistry, with a whimsical fishtail braid, cascading loosely to one side. Following the ceremony, guests kickback and grab a drink at a casual Cocktail Hour hosted in the Tool Shed. And then, the time everyone's been waiting for: the party! Ehem, Reception. First dinner, and a beautiful cake adorned with sprigs of green from Sweet Tartlette. Floral arrangements by local Flower Designer, Field of Flowers. The soiree finishes on the dance floor, under a tent adjacent to the house. Guests linger into the later hours of the evening, as the night draws to a close. 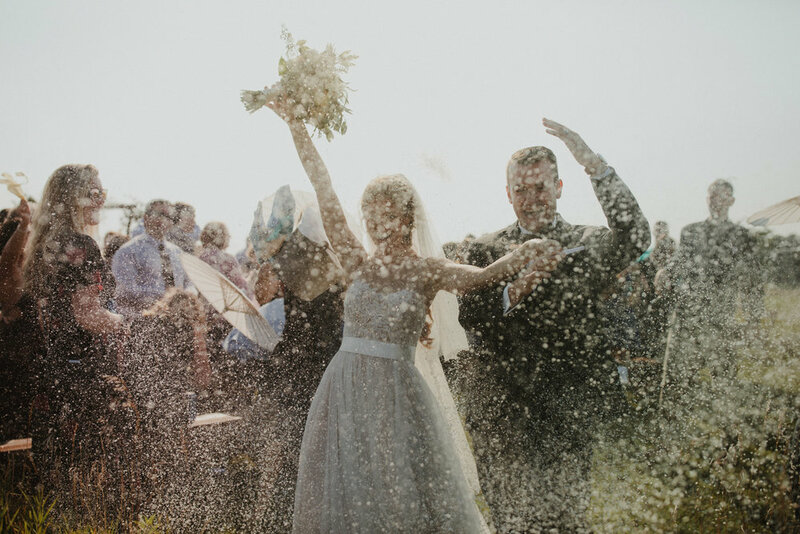 Lara and Nate's wedding simply sparkles -- truly one for the books!